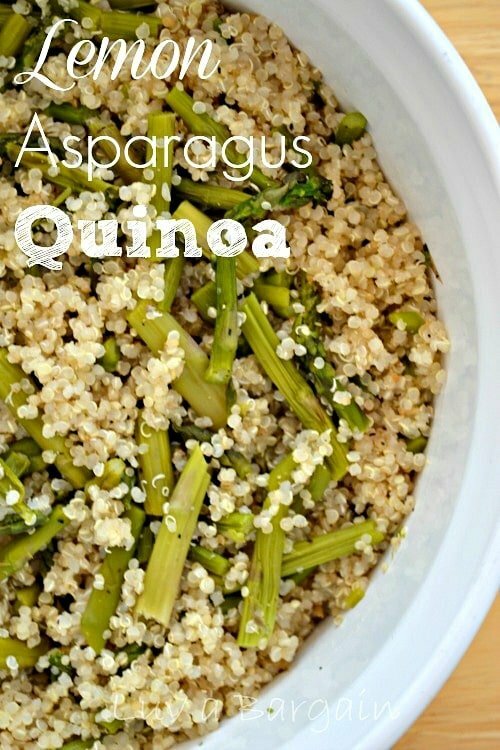 This easy Lemon Asparagus Quinoa is the great healthy side dish to serve with any meal. 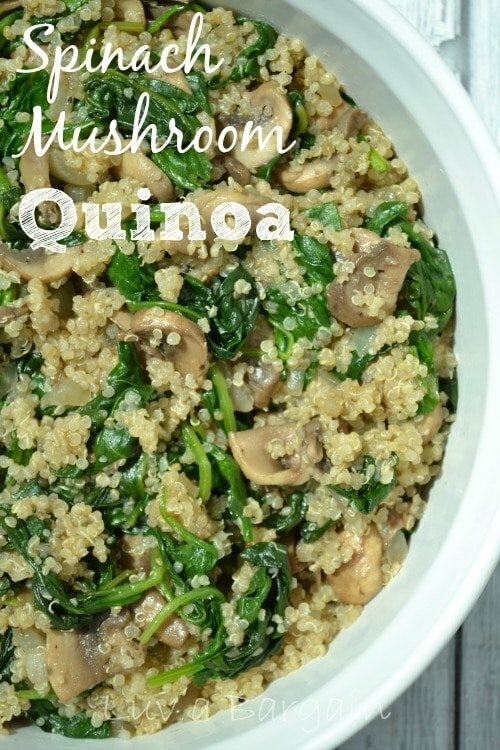 Here is another quick and easy and “Clean Eating” quinoa recipe for you to try. You could even kick it up a notch with a little feta and balsamic vinegar too. I had this with the wonderful Italian Grilled Chicken this week. For lunch I cut up the chicken and mixed it all together. So good!! 1. Cook quinoa as directed. Set aside covered for 10 minutes and the fluff with a fork. 3. Stir the cooked asparagus into the quinoa and add the lemon juice and the other 1 TBSP of olive oil. Cook quinoa as directed. Set aside covered for 10 minutes and the fluff with a fork. Cook the asparagus in microwave with 1 TBSP of olive oil and garlic for about 5 minutes or more if you prefer more "cooked"
Stir the cooked asparagus into the quinoa and add the lemon juice and the other 1 TBSP of olive oil. Love the lemon & asparagus together! Thank you so much for linking up at Tasty Tuesday! Your recipe has been pinned to the Tasty Tuesday Pinterest board! Please join us again this week! 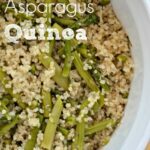 I never thought to use lemon and asparagus in quinoa. So awesome. Thanks for linking up with The Caffeinated Crafters this week! Looks super healthy! Found your link on the tater tots and jello link party. I love the combination and flavor of this dish. Thanks so much for sharing with Full Plate Thursday and have a great day! 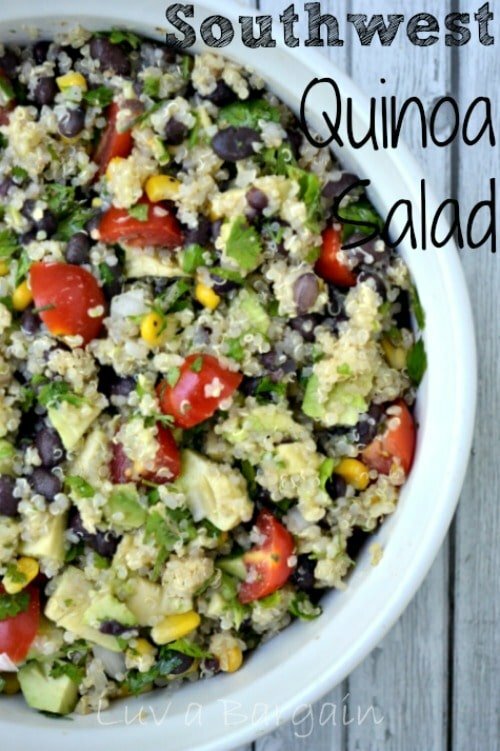 I love quinoa. I think this looks yummy!! Thanks for linking up at Happiness is Homemade. Be sure to come back on Sunday!! Yum! I have some brussel sprouts in the fridge. Think I will make this and sub out the brussels for the asparagus. That sounds wonderful! I will have to do the same! I love that you used asparagus in this recipe. It’s one of my favorites. Thanks for the great recipe. Just the recipe I need for the ingredients in the fridge. Thanks!